My unstoppable friend C. and I finally made a big ole check off of my Basque Country To Eat list. (What? You don’t have one of those?) This check was in the form of a visit to the venerable asador in nearby Getaria, Elkano. She knows me. She knew (with much more sureity than I) that Elkano would be a dining experience for the books. You see, of all the main food groups, fish is the one that drives me the least wild. I never had that desire to just keep eating, moaning, over a plate of salmon like I do over steak, cheese, or even garbanzos. That is my pathetic excuse for never gracing the dining hall of this spot that foodies love to love. But C. refused to listen to my (admittedly weak) protests and booked us a table. 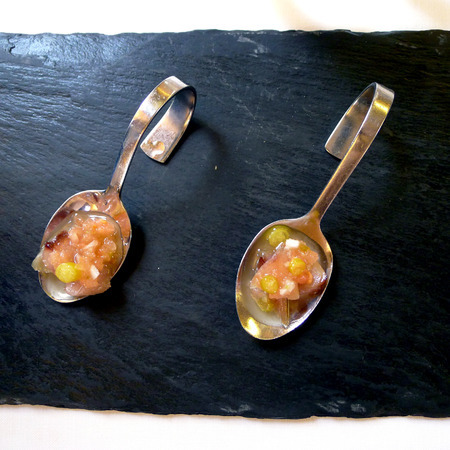 The amuse bouche was verdel, a type of mackerel that fills the port of Getaria with regularity. I love mackerel, for its not-too-fishiness, and for how nice it eats when cooked, not by flame, but lightly in an acidic dressing. 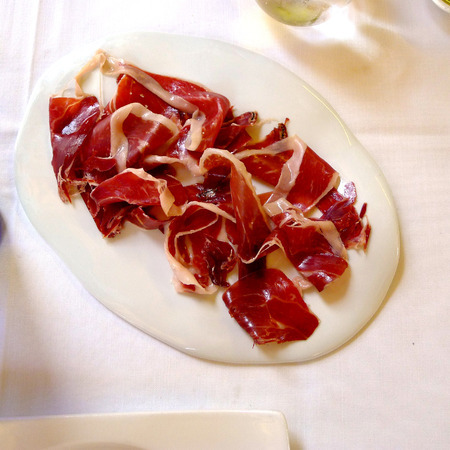 A round of jamón is generally my default pre-appetizer appetizer. It’s like Pavlov’s dogs, when I see a white tablecloth, I am conditioned to order something fizzy to drink and a plate of Iberian ham. At this outing, for the main events, I deferred to my more-experienced dining companion. To be clear about what kind of people we are, "more-experienced" means that she had been to Elkano the week before and was already ready for Round 2. When she suggested it as our spot for our “goodbye” lunch, I scoffed. “Yes. We’re going.” I was still baffled by her response (I mean, why not try something new?) until we actually went. Turns out, she knows me. First she ordered kokotxas, which I have not given their due on this blog: flesh from under a fish's chin, tender and gelatinous. Three ways, with an extra serving of the way she found to be her favorite a week ago, in pil pil sauce. We had a plate of these, drenched in an emulsified oil-fish stock sauce, and they were perfection. Plus one perfectly grilled fish chin flap (oh! the awkwardness of translating kokotxa) and one perfectly fried and battered V-shaped jowl (now I'm just being awkward on purpose. but seriously, how do you say kokotxa???). Then it was time for the main event: rodaballo, or turbot. Grilled outside, on a well-seasoned rack of adjustable-heigh grates, this is the true star of Elkano. If you are going to eat, in fact, it's best to reserve your rodaballo beforehand, lest you miss out on the day's catch, which consists of only the fish deemed worthy by the chefs. If the turbot came out, and you ate it, and that was the end of the story, it would still be an amazing dish. But at Elkano (spoiler alert? is that a thing for restaurants? ), they bring you the dish, allow you to ooh and aah, cut you a portion of the filet, and after you chow down for a while, along comes Aitor. Aitor Arregui is the son of Pedro, the original grillin' man behind Elkano. This is a photo of Aitor and C., admiring an apparition of the Virgin Mary in a fish bone. I think that about sums up Aitor. And the day. Fish perfection. Which is what makes this tiny spot in a tiny village worthy of a Michelin star. Finish that off with—what else—cheese ice cream. 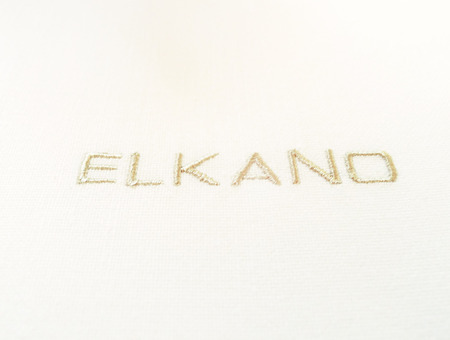 Quique Dacosta (famed Spanish chef) pays homage to Elkano's Pedro.